"STORIES THAT RHYME AND SOMETIMES AMUSE"
Now it's time for a "Teaser Alert". WOW--Who would have thought I would be having a second printing of my book! I had 300 copies printed with my initial order, and I wasn't sure if I would end up with a couple boxes of "spare table legs", or would they sell over time. I never really expected all 300 to sell in only 9 or 10 months. What has been most gratifying to me, are the number of you that have came back to purchase additional copies for friends and family. A lot of times, people will buy a book to be polite, or out of curiosity; however, when so many have re-ordered books for others, that tells me they have enjoyed the read and want to share it with friends. That tells me I've done something right. Thank you! Last fall I told you about my poem, "A Ravens View" being chosen for publication in the Legion's "Military Service Remembrance Book", well to inflate my bubble a little more, they have also chosen another Veterans related poem of mine, titled "Heroes" to be printed in the 2019 edition of their book. 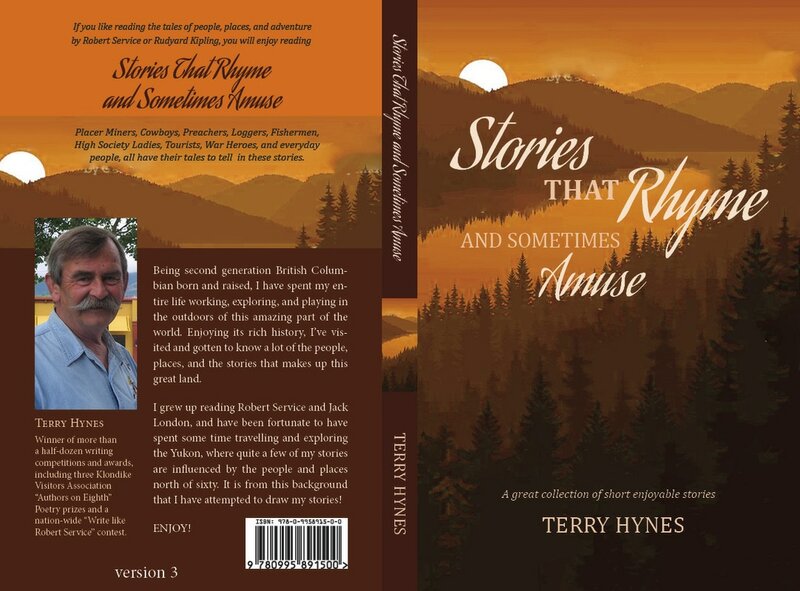 As of April this year, I am hoping to send my new book, "Stories That Amuse and Sometimes Rhyme"
to the printer. It will be similar to the first book, but will include some anecdotal memoirs, as well as more of my rhyming stories and a few poems. I will keep everyone informed of the timing. HOW TO GET YOUR COPY OF MY NEW BOOK! I have some at the "Christina Lake Welcome Center". and I also have some at "Skyway Books & Gifts" at the Kelowna Airport on the departure side. Congratulations to the staff at Skyway, they are by far my biggest selling retailers. Thank you all so much! Good news for West Kootenay readers! My books are now being carried by HyWood Truck and Equipment (old friends) in Nelson B C. They are located on McDonald Dr. just down by the airport. "Terwilligers" in Penticton is now carrying my book, stop in it's a great little store. "Fireweed Books" in Whitehorse have copies on their shelves now too. In the meantime, and for anyone that would like a "signed edition", You can order a book right from myself by sending $20.00 to the address below. This price will include all taxes and shipping costs. You can send a cheque or cash, (just fold the bill in paper with your name, address, and how you would want me to sign the book. I am also set up to take inter-act E transfers too, and they're very handy to pay with. The book is soft cover and 51/2"X81/2" with 135 pages. The printing company in Victoria did a great job on the layout and printing. For those of you that prefer the E Readers, I have an E book version that is being handled by Amazon/Kindle books, and they can be purchased through the Amazon store on line. There are over 30 stories in the collection, some are from this site, but most are new, and I know you'll love them.